I am working with GENPACT as Health claim adjudicator.I want switch in Pharmacovigilance. Please Suggest what should I do. Currently I am working in PV (Mumbai), I can assist you if required. i completed my b.pharm and looking to join pharmacovigilance. can you assist with that? my id: acropolis.in@gmail.com. 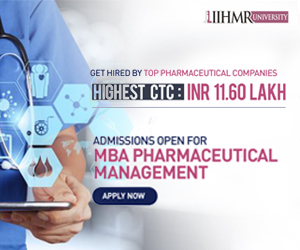 Urgent requirement of MBBS candidate for medical reviewing in pharmacovigilance. I completed M.pharm in Pharmacognosy and have 3 years of experience. Now i wana enter into PV, Can you help me out. Iam sushmitha, working in Pharmaceuticals/QA since 4.6 yrs with B.Pharm.Am much interested in Pharmacovigilance.So far iam looking for the source. It would be great if anybody help/guide me to switch into Vigilance. THIS is the subrahmanyam from bangalore , working in pharmaceuticals (API)production i have much interested in QA i am looking for the source. it would be great if any body help/guide me to switch into vigilance. Yes, you can join as pv specialist or pv officer. i am a B.Pharm , six sigma green belt holder, worked with DELL.CTS, TCS , as a claim adjudicator and Quality analyst. i need to switch over Pharmacovigilence. can you help me please. or can you suggest some idea. I am pursuing M.Pharm in Pharmaceutics,presently in 2 year. Please could anyone suggest me about the job opportunities in KPO like Accenture,Wipro,GE, Cognizant,Heron healthcare. Presently I am working as Medical Biling & Coding Executive,could my profile matched to PV. I completed m.pharm in Pharmaceutics. I would to switch with the IT corp. Accenture,TCS, Dell,Cognizent for healthcare service sector. I am Dr.Prakash.i am a veterinary doctor by profession.i am having 2 and 1/2 years of experience in clinical domain.besides i have done certified course in clinical data management also having skill like Oracle Clinical,Clinical SAS,SQL,PL/SQL.can someone please show me the way to enter into CDM or Pharmacovigilance industry ? Hi Friends. This is Dr.Prakash, a veterinary doctor having around 2 and 1/2 half years of experience in clinical domain.besides i have done certified training in Clinical Data Management having skills like SQL,PL/SQL,Oracle Clinical and clinical SAS.Can anybody please show me the way to enter into CDM OR Pharmacovigilance industry? This is Mamatha, I Completed M.Pharmacy in Pharmaceutical Analysis and Quality Assurance. Can anyone please guide me if i am eligible to get into Pharmacovigilance industry if yes what procedure should i follow. yes u r eligible person. yes, you are eligible for pharmacovigilance department of pharma industry. 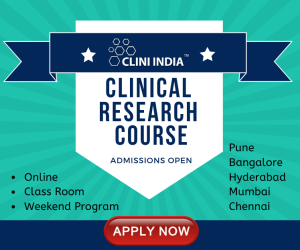 but you must have a diploma certificate of clinical research to get entry in the company. i needed ur help dhiraj sir? please give me guideline about the pharmacovigilance ? wt is d scope and benifits of this line sir? How we can apply for this or entered in this? also outline for gpat exam "how could i do d prepration for this exam"? I'm Poonam Mahendra, done M. Pharma (Pharmacology) (2009-2011). I have 6 month teaching experience. Looking for job in Delhi NCR from last 4 month, but didn't find any success. My interest area are teaching, Kpo, Pharmacovigilance officer, CRO etc. I also want to do PhD. Please help me to find job. from KLES College of Pharmacy, Hubli affiliated to RGUHS Bangalore..GATE qualified twice..and posess Diploma in “Industry Program in Clinical Trial, Research and Administration” ...I am very much interested in Pharmacovigilance or Regulatory affairs..
iam harsha completed my doctor of pharmacy(pharm.D) this year and iam very much interested in pharmacovigilance sector....and iam a fresher please guide me about the information on jobs for freshers.. I am Murali krishna.K completed my M.Pharmacy (Pharmaceutics) in Gautham College of Pharmacy, Bangalore. I did B.Pharmacy in Annamalai University, Chidambaram, Chennai. If given a chance, I assure you my wholehearted dedication towards the work assigned to me irrespective of its nature, and my loyalty towards the organization. I request you to put my application under your generous consideration while making any decision for the post in your esteem organization. Please find enclosed my resume underlying my educational qualifications and my professional interests. i m very much interested in doing job in pharmacovigilance. i have 2 yrs of work experience as CRC. any vacancies in TCS,WIPRO,ACC,COGNI,IBM as PV,CLINICAL RESEARCH,CDM OR SAS FRESHER?